Sometimes it is hard to praise- maybe you don't see a way out of your situation, maybe it looks impossible! I want to tell you something, we serve a God of suddenly's! That situation in your life that looks impossible- SUDDENLY it is possible! Praise changes even the darkest situations. 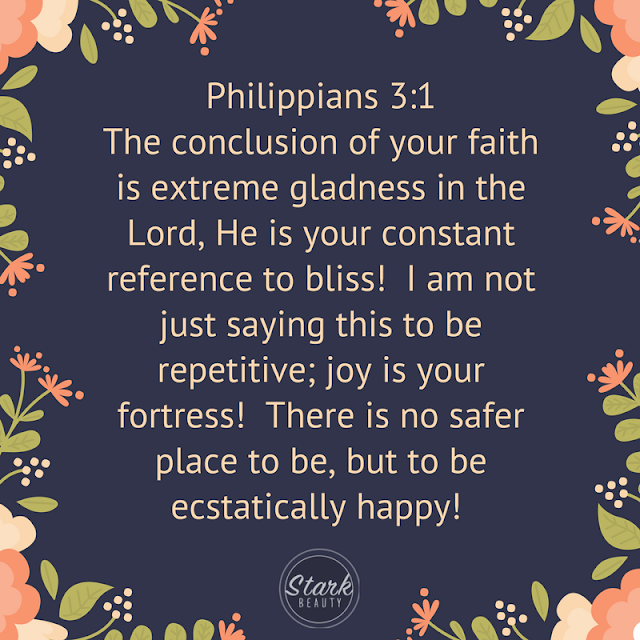 Paul and Silas were in prison, seemingly defeated, yet they sang praises to God! They weren't looking at their situation, they were looking at Jesus and then SUDDENLY their chains were broken! Acts 16:25-26 says, "About midnight Paul and Silas were praying and singing hymns to God, and the other prisoners were listening to them. 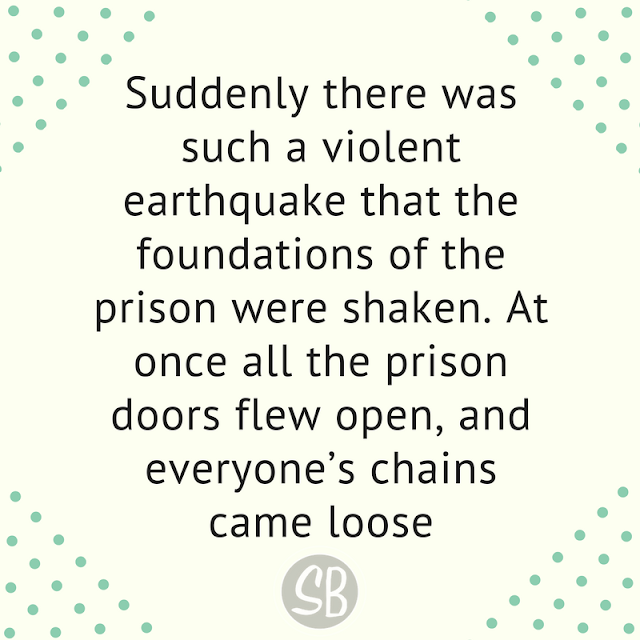 Suddenly there was such a violent earthquake that the foundations of the prison were shaken. At once all the prison doors flew open, and everyone’s chains came loose." 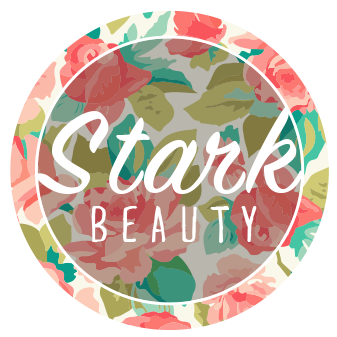 The story doesn't end there, it only gets better! The prison guard gets saved, and Paul and Silas are freed publically! 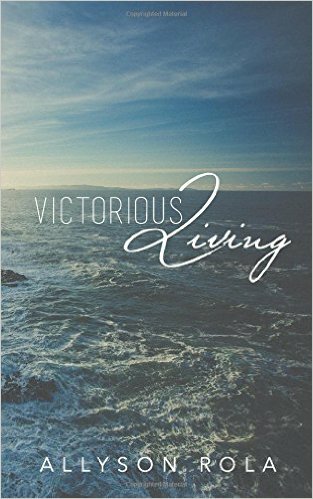 Your story isn't ending in defeat, your story is ending in victory! Today, as you praise the Lord, watch your impossible situation become a SUDDENLY.